Photographed under captivity for documentation purposes. 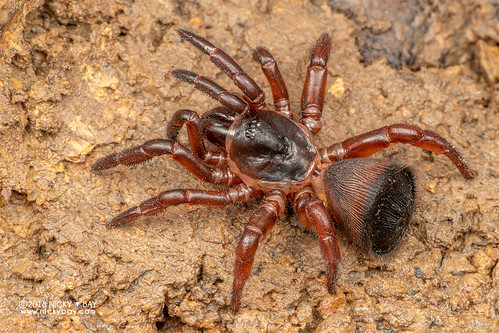 The cork-lid trapdoor spider has a highly sclerotised and abruptly truncated abdominal posterior, which is used as a plug to its burrow entrance. This prevents any effective attacks from predators such as wasps.